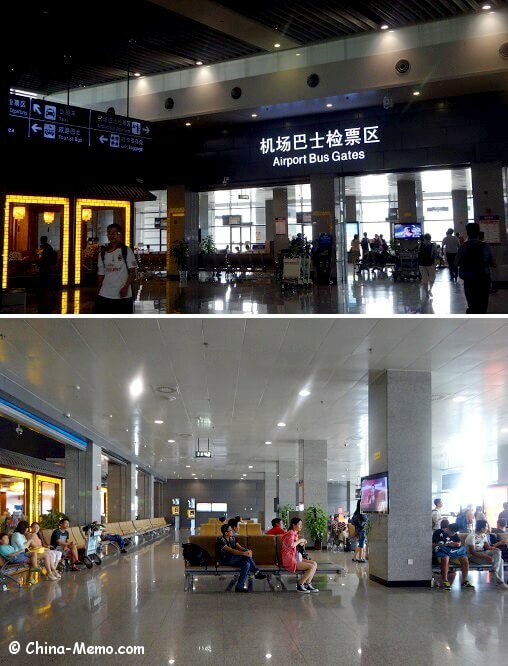 Xian Xianyang Airport is the main airport in Xian, the capital city of Shanxi province. 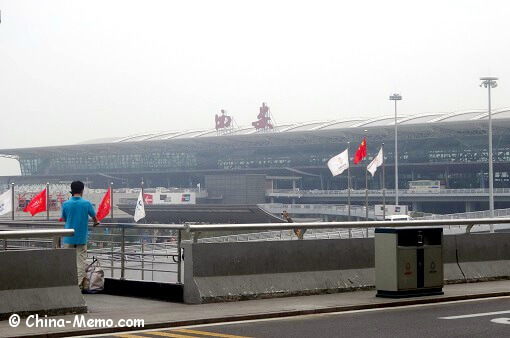 It is also the largest airport in the northwest of China. 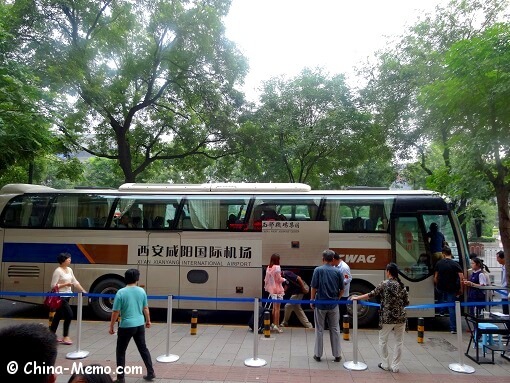 I had a two day trip in Xian and visited some famous attractions there. 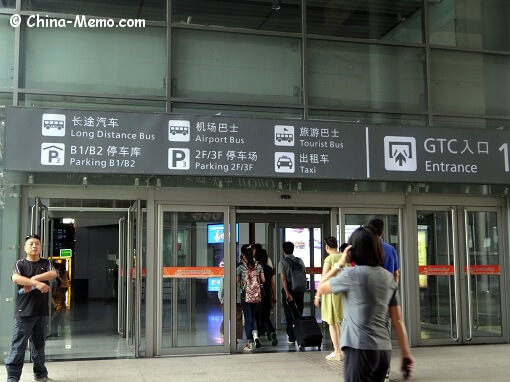 In this post, I share some information about how to take the airport shuttle bus to the city center Drum Tower / Bell Tower. Why Drum Tower? 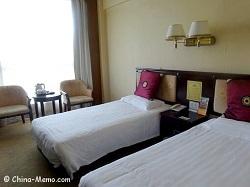 because it is one of the must visit place in Xian, and I had booked a hotel near Drum Tower. You can find the post for this hotel by this link: Xian Melody Hotel. 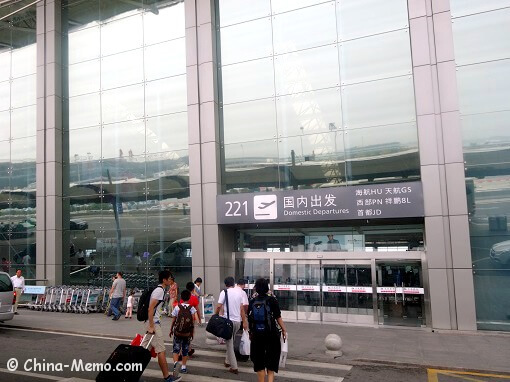 This is Xian Xianyang airport departure entrance. From the airport arrival to public transport. 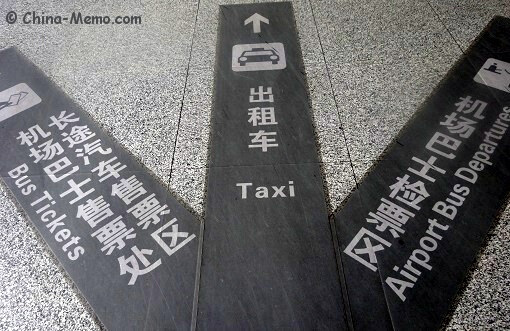 It is just like other international airports, the signs in airport are shown very clearly. 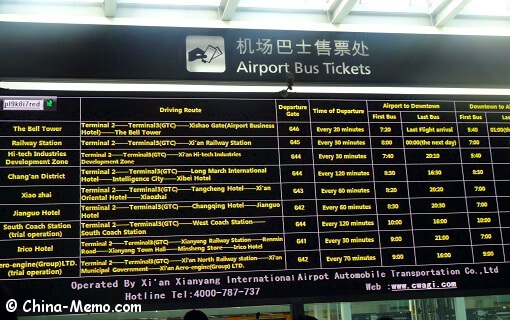 Once arrived, following the road sign, you can find the ticket desk for airport shuttle bus. It is clearly that Xian is well established for the international visitors, as all information is provided in English. It shows the bus to downtown runs every 20 mins. There are about six or seven bus lines to the city, so make sure to take the right one. The hotel I stayed is the Xian Melody hotel, located at the final stop of airport shuttle bus Line 1. The journey take about 1 hour. 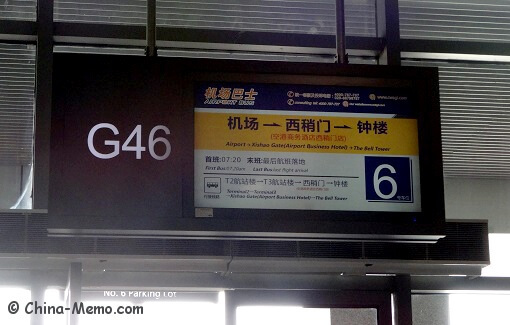 Note, line 1 shows the route: Airport --> Xishao Gate --> Bell Tower. So the route does not show Melody hotel, but in fact, Bell Tower and Drum Tower and this hotel are very close, within walking distance. This is the bus waiting area, which is clean and tidy. 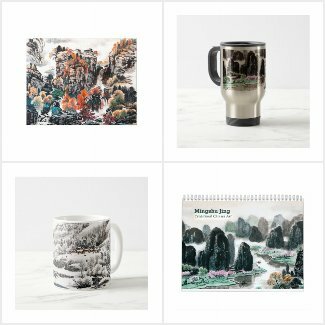 机场—〉西稍门--> 钟楼 (Airport -->Xishao Gate --> Bell Tower). The bus only has one stop in the middle, at the Airport Business Hotel, then it reaches the final stop, outside of Melody Hotel. The journey is about one hour, ticket price RMB26 (in 2014). 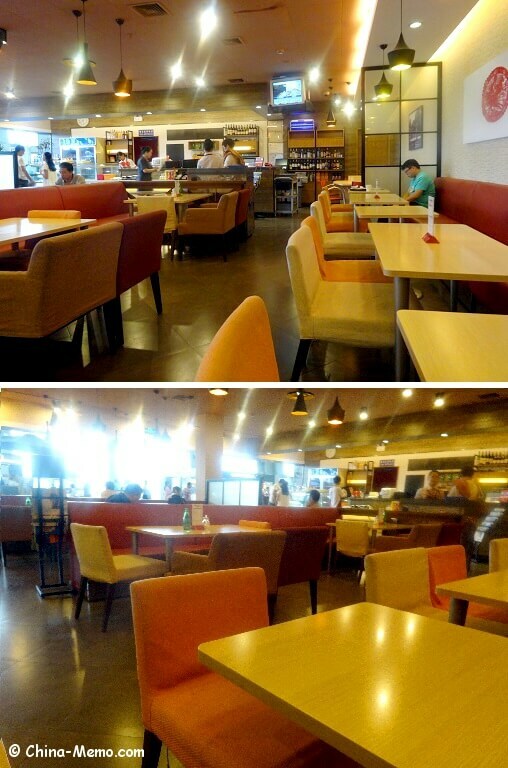 When return, I took the bus shuttle at the Melody Hotel and it directly took me to the airport departure entrance. So it was very conveinient for me to stay at this hotel. 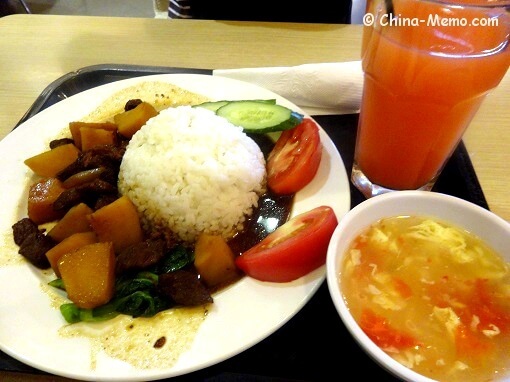 I was not sure whether it is because I took the domestic flight, the food in waiting lounge was just so so, not good as I expected from Xian. I have been to many other cities and their airports offer much more and better food options. Very simple Chinese set meal, rice with slow cooked beef. So, that’s the food from Xian Xianyang airport domestic flight waiting area. Another point I want to mention is the lady’s toilet, it was squat style, another point unexpected from a city famous like Xian. I know squat style toilet is very common in China. But as an international airport, the visitors from outside China would expect the facility to match the international standard. I have seen some cities’ airports have at least offered both squat and sitting style. I was wondering how about the waiting area for international flights? hope it is different. Also, my dear friends, if you are reading this, please always remember to take some tissue with you when using the toilet in China. I said this to the friends who are traveling by sleeper train in China﻿, I still say this even you are in the airport. Although the condition in China's international airports is very good, but some domestic flights, even in the capital cities still have the similar "missing toilet tissue" thing. See, this time in Xian Xianyang airport, here I met a lady who borrowed some tissue from me. So always being prepared. • Good shuttle bus service, easy to reach key attraction Drum Tower. • With clear road signs and bus timetable, all in English. 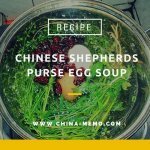 • It seems lack of hot meal options inside the waiting area, which is rare to see when I traveled to other China’s domestic airports. Better eat outside. • The lady’s toilet in the domestic flight waiting area only has the squat style (in 2014). 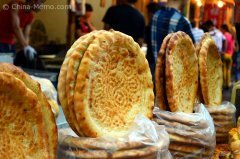 You may like to see more details about Melody Hotel or my experiences in other famous Xian Attractions, and Xian Muslim Street Food.